A new tool has been developed to help humanitarian agencies and donors analyse a disaster situation, make a comparison with another disaster that might be unfolding in a different part of the globe, and plan and prioritise their response to a particular crisis accordingly. 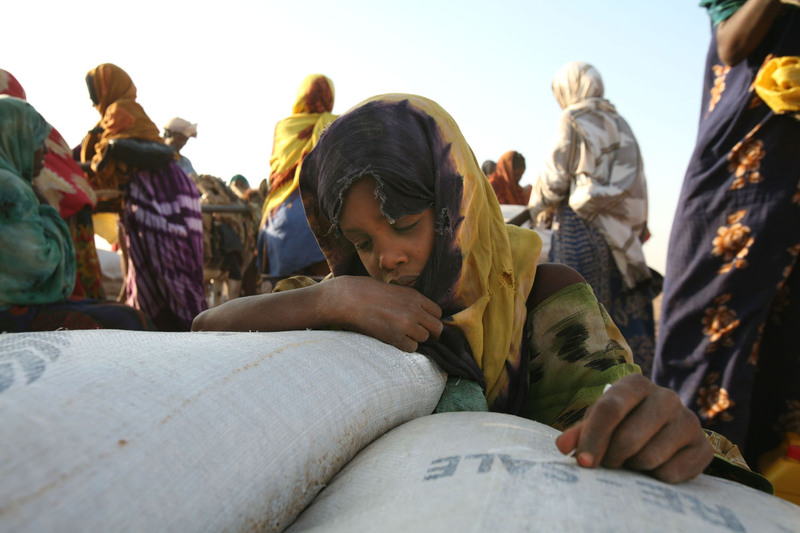 The Food Security Analysis Unit (FSAU) of the UN Food and Agriculture Organisation (FAO) in Somalia developed a comprehensive situation analysis early warning tool in 2004, which uses a "common currency to describe the nature and severity of a crisis", said Nicholas Haan, the unit's former chief technical advisor, who developed the concept. The need for a "common currency", as provided by the Integrated Food Security and Humanitarian Phase Classification Framework (IPC), was perhaps best illustrated by conditions in northern Somalia. FSAU had made detailed field assessments in 2004, when Somaliland and Puntland regions were involved in a border dispute while experiencing a third successive year of drought. The unit "needed a means to clearly communicate the differential affects of the drought in those areas, but to do so in an objective way - some of our field analysts were even receiving death threats to bias the analysis," Haan said. "We also needed to make the analysis less complicated and more meaningful for action; thus, the IPC was developed. Immediately, the politicisation of the analysis - including within the international community - was muted, and thereafter humanitarian assistance became better coordinated and shifted to those areas most in need. That's when we became convinced of the value of an evidence-based classification system." The IPC defines the severity of a situation using a five-phase scale ranging from "generally food secure" to "famine/humanitarian catastrophe", based on comprehensive data on the impact of the crisis on food security and nutrition. "Without this common currency it is very difficult to make objective decisions on resource allocation and programme design, both within and across countries," said Haan. "For many years the food security analysis community has been looking for the 'silver-bullet' methodology, or a single indicator, to provide rigour and comparability in the analysis. While progress has been made, we are still far from resolving the methodological debates (for both technical and institutional reasons). At the same time, we often miss the big-picture analysis of a crisis, and the range of most appropriate solutions." Crisis assessments vary from agency to agency, who could use one or more indicators to base their findings on. The IPC offers a way of bringing these multiple data sources and methods together, and enable comparability through "big picture" analysis. "From an analyst's point of view, surely, we would like more data, but we also have a responsibility to provide better analysis to decision-makers - not just throw up our hands when the perfect data set does not exist ... we need to make the best use of what we do have," Haan said. In addition to Somalia, the IPC is being rolled out in 10 countries in East and West Africa. The possibility of a rollout in southern Africa will be discussed later in November. The FAO is working with an initial global partnership of the World Food Programme, the USAID-funded Famine Early Warning Systems Network (FEWS-NET), Save the Children-UK/US, Oxfam, the US charity, CARE, and the European Joint Research Council to coordinate further application and development of the IPC. "The full value of the IPC can only be realised if key stakeholders are on board, which includes international agencies as well as national governments, with whom we are in direct consultation," said the FAO's Luca Alinovi. Independent food security analysts Mark Lawrence and Nick Maunder pointed out in an assessment of the IPC for the Regional Hunger and Vulnerability Programme, which assists policy-makers and practitioners concerned with food security and social protection in southern Africa, that the "quality of the analysis ultimately remains dependent on the quality of the data ... equally, the quality of the product depends on the quality of the analysts." Daniel Maxwell, associate professor at the Friedman School of Nutrition Science and Policy at the Boston-based Tufts University, said the idea of "enabling comparative analysis across different contexts with a common set of analytical tools is critical to improve the impartial allocation of resources to responding to humanitarian crises. There is no question, however, that in many cases, existing data are not as good as they are for Somalia, where the IPC was invented." On the other hand, the IPC was "not a substitute for improving ... data sources on the ground in different contexts, and was never intended as such", Maxwell noted. Haan said questions concerning the quality and timeliness of analysis were "a generic problem to all food-security analysis in developing countries", and any deficiencies highlighted could be improved upon. The information fed into the system ranged from nutrition data to the state of civil security and level of displacement of the affected population. Chris Leather, southern Africa regional food-security advisor at the UK-based development agency, Oxfam, said the analytical tool could also help improve accountability in planning a humanitarian response. "Because of the common process of analysis, the approach requires all the humanitarian agencies to come together and share their data, to reach a consensus on what the situation is and plan their response - it forces them [agencies] into being transparent," he added. "It is not uncommon for organisations [at present] to take up valuable time responding individually and not coordinating with other agencies, which often leads to a fragmented approach." In southern Africa, where HIV/AIDS is billed as the biggest disaster, Haan said the prevalence of the pandemic "would be a strong contributing factor to the analysis, and may very well warrant categorising those worst-affected areas as a humanitarian emergency; the whole point being to avoid what is termed 'normalisation of crisis'." However, the IPC, "as it is currently designed, is a tool that attempts to do this for food security, and draws from other sectors inasmuch as they affect food security," he explained. Haan said there was growing interest in using the IPC approach for other sectors as such as health, water, protection and shelter. "The case of HIV/AIDS in southern Africa would be an excellent example of the value of developing such a classification system for health."